Get ready for the Fourth! The Fourth of July is coming up quick! You’ll want to wear something red, white, or blue to show off your patriotic spirit and Elan Style is here to help! 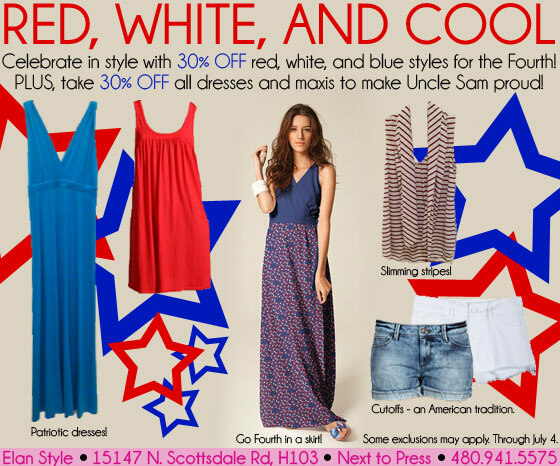 We’re giving you 30% off select red, white, and blue styles in addition to 30% off select maxis and dresses. You’ll be best dressed at that BBQ or pool party you have on your calendar! Just Arrived – Lotta Stensson! New styles have just arrived from celeb favorite Lotta Stensson! Interested in learning more about Lotta? Here’s some info from her about the line! Statement making prints dominated the runways. They are a fun way to brighten up your closet. If you’re afraid to try a print, look for a style that you know looks good on you. A maxi is also a universally flattering style that is forward and on trend this summer. Looking to camouflage a trouble area? Don’t steer away from prints! The right print can slim and hide! Prints are also perfect for going from day to night. Layer a printed top under a blazer with some tailored shorts for instant summer chic. We loved this too much not to share! One of our clients, Sheba, recently wore a Blaque Label One Shoulder Fringe Dress from Elan Style to the 2012 Miss USA pageant. Sheba got a lot of press with people snapping her picture and others asking where she got it. Have any event coming up or a special night out? We would love nothing more than to help! You can always stop in or even call ahead to have some items pulled for you. Who knows? Maybe we’ll be seeing you on the red carpet next! 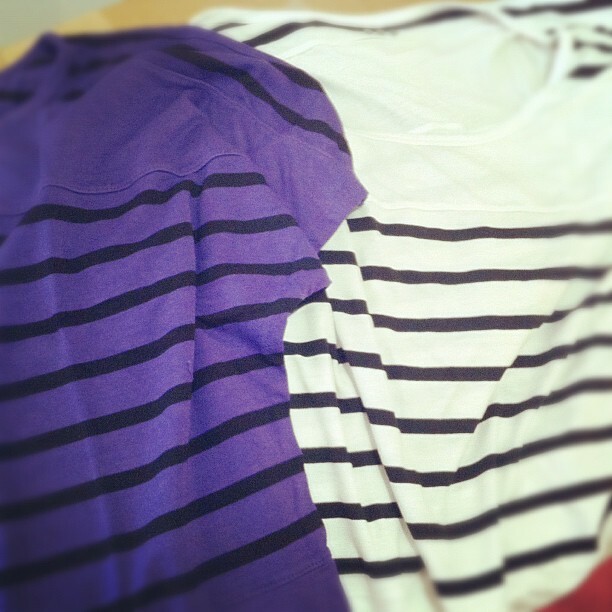 Summer is the season for stripes. 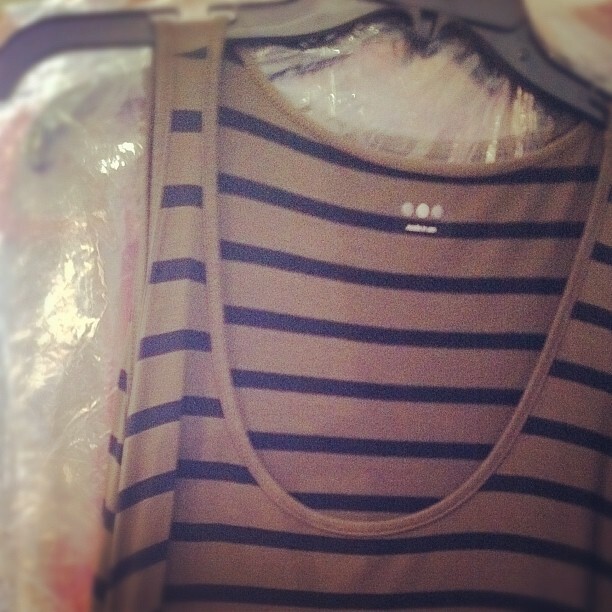 Ignore the old saying about horizontal stripes and come try on the new pieces in store from Three Dots. These aren’t your typical nautical. The tees are easy to wear and pair well with everything from shorts to linen pants. You can easily dress these pieces up with dark skinnies or black bottoms. If you’re looking for something that can take you from day to play, resort to city streets, try the striped dress from Three Dots. The neutrals pair well with any shoe in your closet and can easily be dressed up or down! Don’t forget to tie your look together with some accessories. A straw beach bag and hat are the perfect go-to’s this summer.